At Hanstara we understand floors, their variety, beauty and unique characteristics. 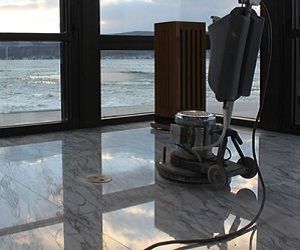 Our team is extensively proficient and expert in different type’s floor polishing like stone polishing, diamond polishing, and granite polishing, scrubbing and shampooing. However, keeping floor clean is not an easy job. It is also not a once a day effort. It must be an ongoing process to provide great results. Our admirable polishing service include cleaning process that uses a high-speed rotary brush and fine proprietary cleaning solution for reaching tough dirt and contaminants. 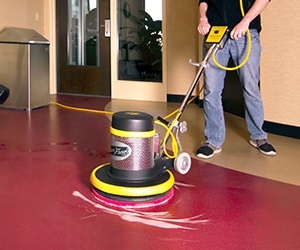 Our professional’s clean floor and squeegees trap the dirt. A marble floor in any public places looks spectacular and gorgeous, but it essentials special care. Over time a marble surface loses an aesthetic look and dims. Therefore, it is essential to regularly use the marble crystallization service. The term crystallization has arrived the language of the marble polishing field to describe a process used polish a shine on marble surfaces. This is a method used to accomplish a high gloss finish. Crystallization also creates micro film on the surface of marble, which is more solid and durable and supports to preserve the color and the brightness of the marble. We have marked a distinct and dynamic position in this domain by providing Polishing Services. Polishing and buffing are finishing procedures for smoothing a work piece’s surface using an abrasive and a work wheel. The process removes scratches and minor surface imperfections which are too deep for buffing to fix. The final metal part will have a brushed look without any reflections. Successful polishing removes just enough material to make the surface even. Our valuable customers can avail from us premium quality Metal Chemical Polishing Service. The provided service is carried out by our skilled team of experts in the best possible manner. 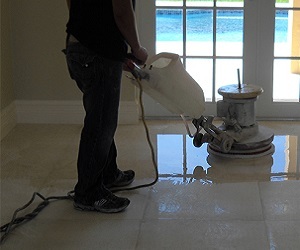 Diamond polishing is a natural process of polishing marble and other natural stone floors to replenish and repair the factory finish polish to the floor. 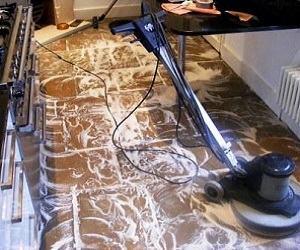 This is accomplished by passing diamond abrasives usually starting with a medium grit diamond over the floor. This will eliminate light scratching, superficial scratches and minor etching. We generally employ diamond polishing as part of our nine stage programmed for floor restoration which starts with diamond grinding. Our professional team will do away with stains and superficial marks off your marble, making it look as good as new. Rough scars that tarnish the surface can be smoothed out, it would be like you just got your house renovated but without having to pay a small fortune for it. Marble and granite are both attractive, very sought-after surfacing materials. But each one does have its own attributes. Weighing the pros and cons before deciding on one or the other for your surfacing project is important. Siliceous stone is composed mainly of silica, or quartz-like particles. It tends to be very durable and easy to clean. Stones in this category are granite, slate and sandstone. We believe that natural stone is one of the most useful and beautiful materials used for centuries for flooring, paving, indoor and outdoor cladding, worktops and fire surrounds. Our craftsmen are capable of fabricating almost anything in natural stone; marble, granite, limestone, and onyx as well as man-made products such as quartz. 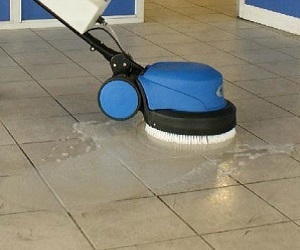 We produces a complete range of scrubbing machines that enables you advance your floor care tasks. The experience and specialty built-up in more than customer satisfaction of activity have allowed to develop very innovative machines such as the compact, revolutionary favoring the mechanization of cleaning operations by replacing traditional manual systems such as the use of mops. A highly well-organized series of walk behind as well as ride-on machines are suitable for both maintenance and in-depth cleaning.